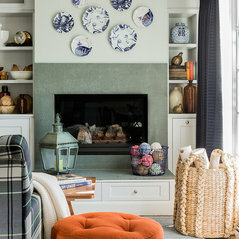 As one of House Beautiful's "Next Wave" of interior designers, Jill Goldberg and her team bring a youthful exuberance along with a fresh take on interiors to every project. 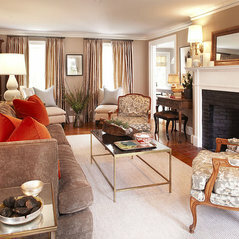 Hudson Interior Design is a full-service, residential design firm. 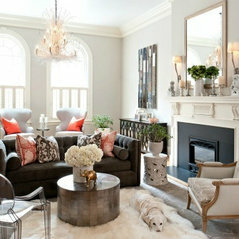 Classic design foundations, with a mix of traditional, modern and vintage, define the Hudson Interior Design style. Hudson Interior Design creates a sense of style and personality while always making sure that a home remains comfortable and approachable. Jill's approach to home interiors is influenced by a childhood spent in New England, with strong roots in New York City and years spent soaking up the California aesthetic. Hudson Interior Design was founded in 2010, following the successful launch in 2006 of HUDSON, the home furnishings boutique. Winning accolades and "Best of" awards from the media, HUDSON claims the "Traditional, Country and Vintage meets Modern" approach to home design. 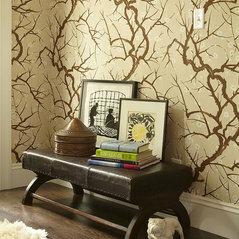 Wallpaper deemed HUDSON one of Boston's must-see shops. Hudson Interior Designs is a Boston based company but is open to travel for projects outside of our area. HIGHLY CURRATED! Fabulous shop. Great rotation of merchandise, price range and style variety. 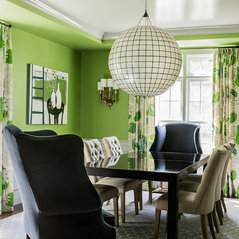 ALWAYS HIGHLY STIMULATING for the interior design junky. Commented: can you please tell me where I can purchase the sausage dog fruit holdvery sorry but client purchased without me, I'm not sure of where she purchased it or where to find one. Commented: Where is the the wonderful wooden pig tray from its gorgeousI'm very sorry but client purchased this without me, not sure of where to purchase or find it. 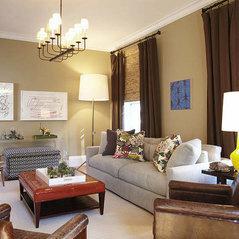 Commented: eclectic family roomThat's a vintage carpet, one of a kind!